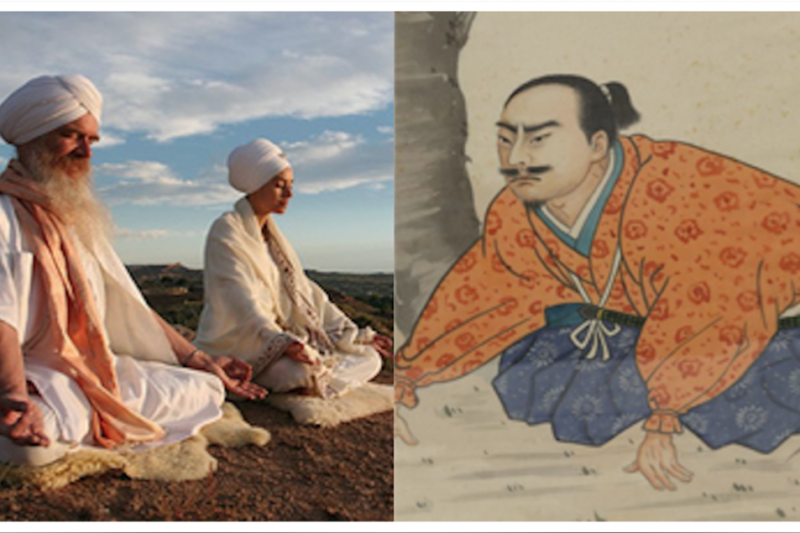 ‘Harmony’ is a core value in both India and Japan, but both cultures have different approaches to harmony. Collectivist (Group being more important than the individual) Japan and Spiritually Individualist India (The individual is the repository of the Universe) have deep rooted cultural differences that cause them to behave differently. Japanese society. It is a ‘collectivist’ value in which the fabric of harmony is to be maintained across the group and the responsibility for it lies with everyone who is part of the group. In October of 2015 I attended a presentation by Caroline Lewis of Richard Lewis Communications. She is an expert on Japan and she narrated the following incident which occurred when her family was residing in Japan. They smelt smoke one night and went out the front door and saw an elderly man running down the street. They asked if they could help with anything and he said no thank you, but his house was on fire. They went back in and heard the sounds of the fire engine so thought no more about it. The next morning there was a gentleman at the door and he apologized to them saying that the previous night his Boss’s house had caught fire and that might have disturbed them. The next day it was raining hard and two very well dressed men arrived at their house under an umbrella and handed them a beautifully wrapped package (containing fancy Japanese sweets) and the owner’s card to apologise for the disturbance caused by the fire. This is what is Harmony all about in in Japan. This is ‘Wa’, or ‘Group Harmony’. The Japanese will go to what would be considered by other cultures as ‘extreme lengths’ to maintain group harmony. 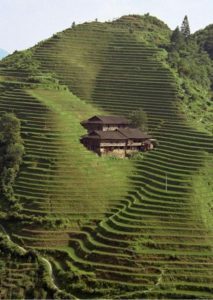 strict cooperative discipline between farmers was crucial to ensure optimum irrigation to grow rice and other crops. It is believed that Wa arose out of this deep necessity. Wa is also a core concept in Shintoism and is described as ‘Kind and Beneficial Harmony’. One of the core moral and ethical traditions of Shintoism is that group solidarity always takes precedence over individual behaviours. constitution and it was decreed in Article 1 that Wa would be a core value. Wa became an ingrained part of feudal Japan and continues till today. 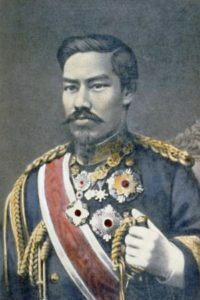 Prince Shotoku was also the first great patron of Buddhism in Japan and the inherent concept of Harmony in Buddhism appealed to him as much as in Shintoism. 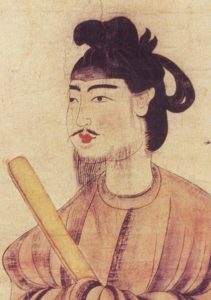 Wa was also integrated into ‘Bushido’ – The Way of The Warrior and became an integral part of the Samurai spirit and is reflected in modern Japan in the corporate sector along with other medieval values. During the Tokugawa Shogunate, Japan was cut off from the rest of the world for 200 years, except for a small port in Nagasaki. The Tokugawa rulers were intensely Xenophobic and effectively secluded Japan from 1636 to 1867. During this seclusion, Japan’s values intensified since there was virtually zero external influence, and Wa was one of these core values. In 1853, Admiral Matthew Perry of the United States arrived in Japan in a warship to convince Japan to begin trade again. The ruling elite in Japan saw the advances in technology and realised that they were far behind in warfare. Being Samurai (Warriors), they decided to open out their borders to the West. feudal systems, but the core feudal Japanese values were ingrained in the psyche of the Japanese people and most of these values are prevalent in the present day. Wa or Group Harmony is deeply ingrained in Japanese society and is taught to children from a very early age. The purpose is to not disrupt collective group harmony. Harmony is also maintained at an individual level in Japan and involves protocols of behaviour. Hinduism (A misnomer really and has to be used for want of another word – it’s original name –‘Sanatana Dharma’ is all but forgotten) is a very spiritually individualistic way of life. It isn’t really a religion but a collection of various ways, philosophies and thought with the end object of attaining salvation from the cycle of births and deaths. 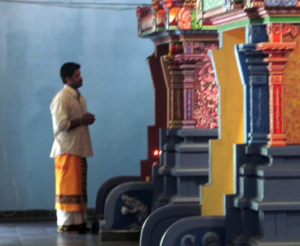 One of the core aspects of Hinduism is that there is no one way to God. Every individual is different and aptitudes are different. There are many ways to the destination, and you take your pick as per your aptitude. 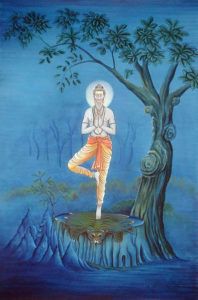 The word ‘Dharma’ means ‘In accordance with Nature’, and a core aspect of Hinduism is, ‘Pick according to your Nature’. Western scholars concocted the term ‘Hinduism’ in order to understand the complex and varied forms of spirituality practiced on the subcontinent. Westerners often make the mistake of viewing India through dichotomous eyes and it causes great confusion and frustration. You will be well advised as a westerner to understand that Hinduism comprises many ways as per the laws of Nature. There is a deep rooted psyche of individual belief and everyone has to respect the beliefs of others since it is a matter of individual choice. This is what is often called the core aspect of ‘Tolerance’ in Hinduism. ‘Tolerance’ is a western notion which indicates that you have to ‘Tolerate’. In this context the word is not appropriate to be applied to Hinduism. In Hinduism, respect for the belief of others is a core value and this results in and seeks harmony at an individual, one to one level with the emphasis on ‘Relationships’. Thus, ‘Acceptance’ is a much better word. one to one as are relationships in life. Prayers are individual and not collective. In this respect there is a great difference between Catholics, Muslims and Sikhs in that they pray collectively, and there is a commonality between Hinduism and Protestantism in terms of praying directly to God. However, the Individualism ends here. While Protestants are Individualist by definition, Hindus are ‘Spiritually Individualist’ and not ‘Socially’. externally. The mind is the object of perception hence control of the mind is essential to fathom universal truths. Thus conquest of the senses is of prime importance, since the senses are regarded as the obstruction to realise the eternal absolute Truth. This is a core behavior which results in Indians not seeking to enforce any kind of group harmony externally but instead disciplining themselves internally to become immune to external disturbances. The Harmony than is sought is within and this in turn is to be reflected externally with whomsoever you come in contact with. There is no concept of ‘Group Harmony’. this is not just it’s beauty. The Lotus has a unique quality. It grows to it’s full splendour even in a pool of dirt and filth. It is not impacted by a dirty environment. Similarly, a human is expected to maintain inner beauty and purity of thought and NOT be impacted by surroundings, no matter how strong the influences. You internalize, look inwards, conquer your senses and become immune to the external world. This does not mean you stop interacting with the world, it means you find your peace within. And this is how you harmonise with the world. 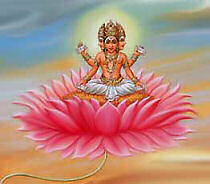 You will thus find many Hindu deities seated atop or holding a Lotus. In Japan we saw that the family affected by the fire were out apologizing to every resident on the street they lived in and distributing sweets. If this were to happen in India, the neighbors and street dwellers would individually take food and clothes to the affected family to lend assistance and support. festivities and you may find music blaring into the late hours. There is no concept of thinking of any inconvenience to others – it is about celebration, and you will find most Indians immune to it. The idea of course is to be like a Lotus and be unaffected by anything external. Everyone has a ‘Natural’ right to what they wish to. This of course would be anathema in Collectivist Japan. In Japan there is both collective and individual harmony, but the group is regarded as above that of individual. There are strict protocols of behaviour to establish harmony. In India, there is no concept of group or group harmony and no strict protocols. Harmony is always at an individual level and is established one to one with the long term object of a relationship. 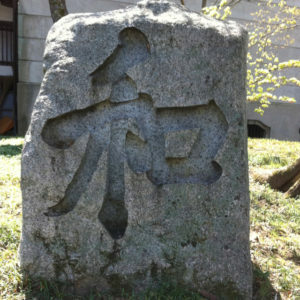 In Japan you externalise, create and enforce group harmony – in the form of rituals, strict codes of behaviours and objects like rock gardens. In India you internalise and seek harmony within yourself with the universe as it is. You do not try to change the universe since it is evolving. You change and control yourself so you are not impacted by disharmony. In Japan any deviation from group harmony or disruption in Wa will be met with disapproval. In India, you are expected to let everyone do as they want to and if it affects you, well you need to be more in control of yourself and not allow it to affect you. A child in Japan disrupting Wa or group harmony would be chided by its parents and asked to conform. 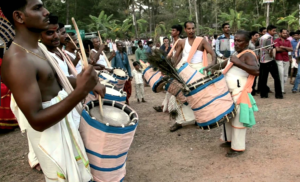 A child in India complaining of noise would be asked to learn how to sleep in an orchestra of amateur musicians. The child would be told ‘You can’t change the world, learn how to cope with it’. Harmony in Japan is restrictive and requires everyone to contribute to maintaining it. In India it is your individual choice if you wish to maintain a certain environment, and if you don’t, you may expect not to face objections unless you are crossing limits and deviating from moral norms. Individual harmony in Japan is established through protocols of behaviour to exhibit respect. In India there are no such protocols and it is your choice as to how you wish to establish harmony according to your nature. In line with the differing concepts of harmony, corporates in Japan give bonuses to groups to encourage harmony. In India, rewards are based on individual performance.